아마존이 7월 15일 창립 20주년 프라임데이 행사를 한단다. 블랙프라이데이보다 더 큰 딜이 있을거라는데…프라임 가입자만 대상으로 한단다. 미국 아마존은 물론이고 영국, 프랑스, 독일, 이탈리아, 일본 등의 아마존도 동시에 한단다. Prime Day is a global shopping event, offering more deals than Black Friday, exclusively for Prime members. On Wednesday, July 15 new and existing members will be able to shop thousands of Lightning Deals, Deals of the Day, and will receive unlimited Free Two-Day Shipping. Members will find deals starting at midnight PST, with new deals starting throughout the day, as often as every ten minutes. Not a Prime member? 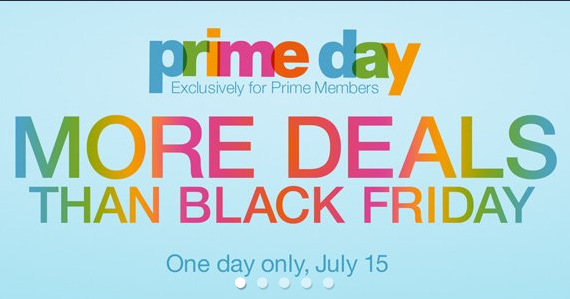 Try Prime today and get immediate access to deals on July 15. 역시 소문난 잔치에 먹을 것 없다는 말이 딱이다.